Moment by moment our lives are changing with the choices we make. Choosing to be conscious of those choices while staying in the heart-space of love rather than fear is essential in order to create consciously. Understanding intention, heightening our awareness, cultivating our intuition, expressing gratitude, practicing forgiveness, being compassionate, and recognizing synchronicity are ways to improve all areas of our life. Since the recent Oklahoma City Spirit Fair, I have been asking Spirit for guidance while “cocooning for clarity.” I can feel my work shifting, and I’m choosing to be in the flow of allowance rather than resist. Over the next few weeks, I will be making changes to my website reflecting this evolution once I attain the clarity that I am seeking. When I began this path, I have always said from the beginning that I am not a fortune teller and will not predict your future. I honor your free will and recognize that you are co-creating your reality with the Universe. 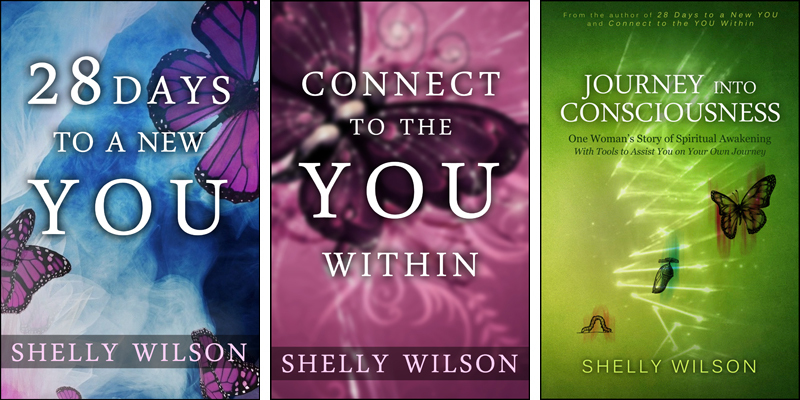 I truly love teaching and assisting you on your journey into consciousness along with offering private sessions. A message coming through for a client while at the OKC fair was so pertinent that I paused to write it down. Spirit stated, “Clear the yuck, so you can get to the yum!” Such a simple yet powerful message! Personally speaking, I’ve been assessing what I deem to be the “yuck” and the “yum” in my own life. With the beautiful weather, I’ve resumed my daily walk, which is a form of meditation for me. I spend the first half mile thinking and analyzing, including what tasks are on my list to accomplish, reflecting on what I have coming up, etc. On the half mile walk back home, I consciously and deliberately clear my mind and take note of my surroundings. Any thoughts that come in are acknowledged yet pushed aside to make room for the inspiration to flow. 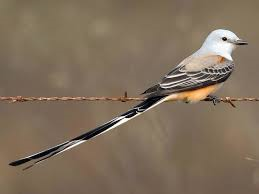 Yesterday, I noticed a scissortail flycatcher flickering around and going from one fencepost to another. I immediately thought of the symbolism of its scissor-like tail and cutting those energetic cords. On my walk earlier today, the scissortail appeared once again. Yet this time, it was during the first portion of my walk. Once again, it moved from one fencepost to another, but then flew in front of me to perch in a tree. Without a second thought given, I recognized there was a message for me. Concluding the walk, I went straight to Ted Andrew’s Animal Speak Pocket Guide in order to understand the message in more detail. Spirit knows that I recognize our animal messengers, whether they cross my path literally or come into my awareness through my dream state. Scissortail flycatcher was not listed, so I opted to google it. The first listing that actually noted scissortail flycatcher specifically resonated with me completely. I am indeed receiving this message fully and continuing to gain clarity as I move forward with grace and gratitude. Time to clear the yuck, so I can get to some more yum! Note: I took another walk this evening prior to actually posting this blog and once again, there was the scissortail flycatcher.